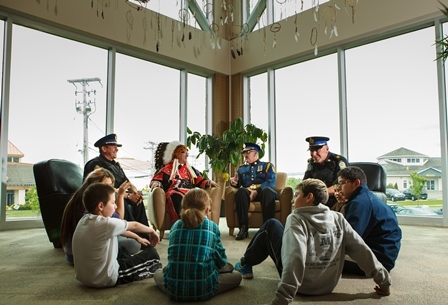 The Cape Breton Regional Police Service was chosen to police the Membertou First Nation in 2007, delivering a collaborative and interactive approach, focusing on the needs of the community. With an officer on duty in the community at all times, the CBRPS continues to achieve some of the fastest response times in the community. Since its implementation, police have received a tremendous amount of community support for the work that they have done.